I have lived in Southern California most of my entire life and until this spring, had yet to really discover Griffith Park. What. A. Shame. This natural oasis in Los Angeles is chock-full of family fun, and most of it is free, or relatively inexpensive. Discover Griffith Park with Kids. Griffith Park, an 1896 Christmas present to the city of Los Angeles by then owner Col. Griffith J. Griffith, now takes up over 4,210 acres of natural chapparal-covered wilderness and landscaped parkland in Los Angeles’ Santa Monica Mountain range just north of downtown Los Angeles. And in case you aren’t up on your acreage comparisons, New York’s Central Park takes up 843 acres while San Francisco’s Golden Gate Park takes 1,017 acres, both under 1/4 of the size of Griffith Park! The park is full of wonders that lead visitors to a greater understanding of the natural world and the history of the region, all while offering families economical ways to enjoy family time and adventures. Note: Getting to Griffith Park can be a challenge thanks to LA traffic. If you are flying in for a Hollywood/Griffith Park tour, consider flying into Burbank Airport (Bob Hope) which is SO much closer to this region. The main route through the park is Crystal Springs Drive and it runs north and south, parallel to the busy 5 freeway. There is no direct route through the park on the west side, with the exception of hiking, biking, and horseback trails. Many of the park’s southern entrances run adjacent to residential areas off of Los Feliz. Ready to learn something? Get hands-on while exploring at these Griffith Park Museums and Attractions that your kids will love. 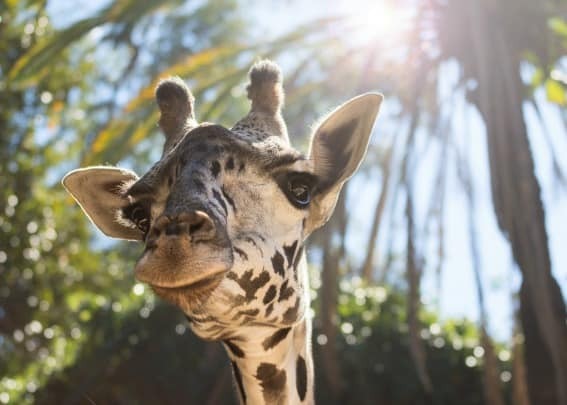 With 1,100 animals representing more than 250 species, The Los Angeles Zoo & Botanical Gardens offers something for every animal lover. A variety of state-of-the-art exhibits, including the Rainforest of the Americas, Elephants of Asia, and LAIR (Living Amphibians, Invertebrates, and Reptiles), present animals in unique groupings, as they would be living in the wild. A hands-on Hippo Encounter, the Conservation Carousel featuring hand-crafted zoo animals, a children’s zoo, and the California Condor Rescue Zone play zone and learning area, are just a handful of this zoo’s impressive features. Family-friendly special events & programming take place throughout the year. Must-See: Arrive early in the morning and head to the river otter habitat. Although mom, dad, and pups spend a lot of their day sleeping, they are especially playful during the early morning hours. And they use their river as a water-slide! I love it when I am surprised by a museum and the Autry National Center, located directly across from the zoo, did just that. I was planning on dragging my children through the halls of these exhibits, but they were the ones who didn’t want to leave. 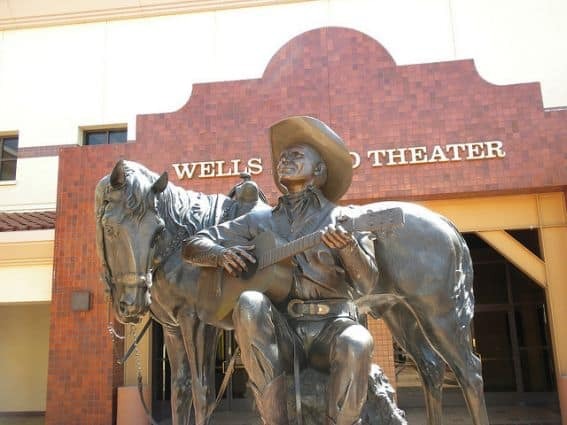 From gold panning to role playing that they were locked up in a western jail, to walking through recreated streets of the western days of old, this museum not only educated us, but entertained us as well. Must-See: My kids loved the opportunity to place themselves inside a western movie thanks to a green screen, mountable saddle, and western film footage. 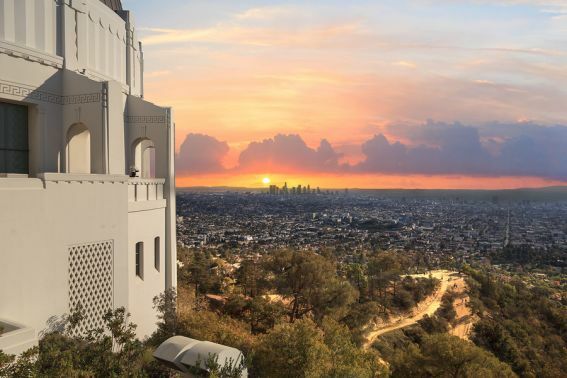 Originally opened in 1935, the Griffith Park Observatory houses the Zeiss 12-inch refracting telescope, which more than 7.5 million people have peered into! A recent expansion to this free-to-visit observatory and museum makes it likely the west coast’s most comprehensive and accessible astronomy learning centers. Hands-on exhibits teach complex astronomy lessons to older kiddos, planetarium shows keep visitors of all ages engaged (additional fee), and the night-time star gazing parties are a can’t-miss. Must-See: Don’t miss the lower level of the museum. The kids will LOVE seeing how much they would weigh on all of the planets of our solar system, and the “create your own earthquake” activity in the Planet Earth section was a hit with our youngest. Train fans won’t want to miss the Travel Town Museum, located in the northwest corner of Griffith Park. 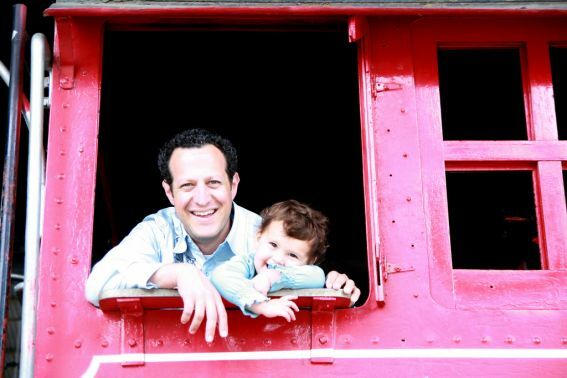 The free, mostly outdoor museum boasts a spanning collection of actual train locomotives that kids can climb on, learn about, and explore, as well as train tables and models to play with too. Although the museum and its components are free, don’t miss the $2.50 trip on the real train that circles the museum. Must-See: Located next door, L.A. Steamers Live, which is only open on Sundays, is another train-loving paradise. Rides are free (donations suggested) and you can even tour Walt Disney’s train-building workshop. There are over 53 miles of hiking trails in Griffith Park, making the area a great opportunity to get some energy out, experience nature, and enjoy views of Los Angeles and the Pacific Ocean. Although adjacent to LA, the park is a wilderness area, so be as prepared as you would be for any nature hike with plenty of water and sturdy shoes, and be on the lookout for wildlife including rattlesnakes, mountain lions, coyotes, deer, and smaller woodland creatures. The Mt. 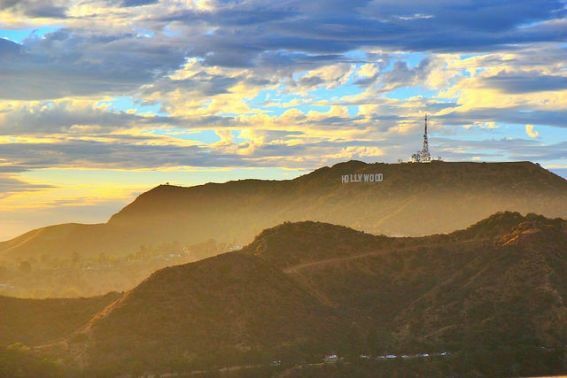 Hollywood Hiking Trail takes families on an easy, 3.2-mile hike toward the Hollywood Sign for an up-close-and-personal exploration of the famous icon. Must-See: Located near the Western Canyon entrance to the park off of Los Feliz and Ferndell Drive, the Ferndell Nature Museum is a unique, tropical wonderland that offers cool hiking opportunities through lush forests on even the hottest days. Horseback riding opportunities abound through the park. Start at the L.A. Equestrian Center to rent horses to explore the park, take lessons on horseback riding, or watch a horse show. Guided tours of the park, including sunset and dinner rides are also available through a variety of vendors. 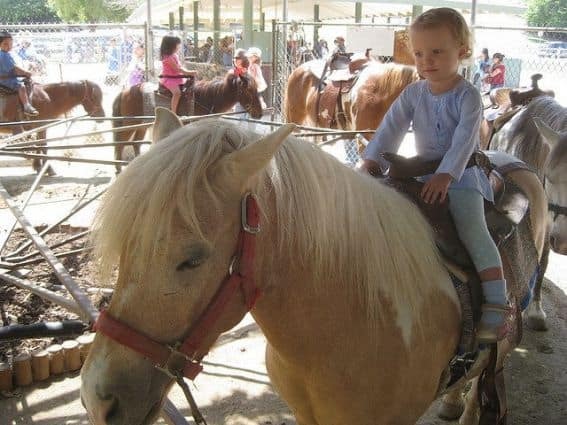 Must-See: Although the general age minimum for horseback riding is 7-and-up through the Equestrian Center and most private outfits, little riders can still get in the action at Griffith Park Pony Rides, located in the middle section of the park on Crystal Springs Drive. Kids ages 1-13 can ride a variety of ponies for just $3! With plenty of open green spaces, you can enjoy a fun family game of sport in most regions of the park. Soccer fields and tennis courts, coupled with three municipal golf courses (with green fees for youths 13-18 starting at just $6) are offered in various locations. A large swimming pool, “The Plunge,” is open during the summer months. Must-See: Golfers won’t want to miss Tregnan Golf Academy where kids as young as 6 can play with their parents or take lessons. Kids wouldn’t think it was a park if it didn’t have a playground. The Bronson Canyon region of the park (accessed via Canyon Drive off of Foothill) boasts shaded play structures and trail access to the popular Bronson Caves, where kids can explore the caves where the original Batman TV shows were filmed. The Griffith Park Recreation Center off Riverside & Los Feliz offers ample free parking and a completely renovated playground with zip lines, climbing structures, slides, and sand to play in. Lake Hollywood Park features both lake and Hollywood sign views, as well as play structures and a dog park. Picnic areas are available throughout the park, including the various playground areas. Must-See: Kids with disabilities can’t miss a visit to Shane’s Inspiration, the largest universally accessible playground for guests with disabilities. With a plane and jetway, accessible slides, and a Ronald McDonald “Ship of Dreams,” this innovative playground will definitely inspire! 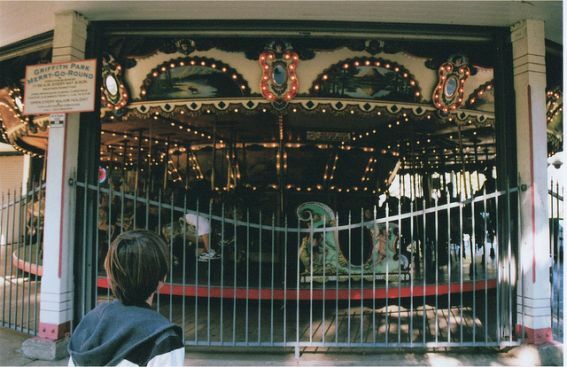 The playground is located across the street from the historic Griffith Park Merry-Go-Round (ride for a nominal fee) that inspired Walt Disney to build Disneyland. Most all of the attractions within the park, such as the Zoo, Autry National Center, and Observatory, offer their own restaurants, cafes, and food stands. Additional in-park dining is available at The Trails, located near the Ferndell Nature Center, offering sandwiches, vegan fare, and coffee beverages, as well as the Roosevelt Cafe, located just south of the Greek Theater on Vermont Avenue, where they serve up pizza, beverages, and all day breakfast. Want to pack a picnic? Nearby grocery stores include Costco and Vons to the east, Pavilions/Safeway to the north, and Gelson’s to the west. Glendale– With super-close access to the Zoo, Travel Town, Autry Museum, Equestrian Center, and Park Center, Glendale is a natural choice for east-side park discovery. My family stayed at the Extended Stay America Glendale on a recent visit, and we enjoyed an easy five-minute drive to the zoo, even during a busy weekday. 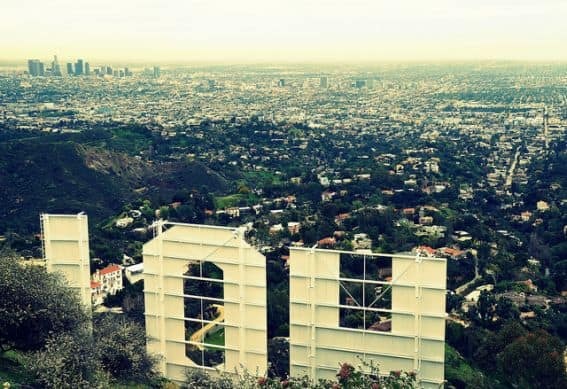 Hollywood- Westside park exploration (hiking trails, Bronson Cave, Ferndell Nature Center, and the Griffith Park Observatory) is best served from Hollywood. Consider the Best Western Plus Hollywood Hills Hotel on Franklin, just a one mile west of the park’s entrance.